Last night Grace Rawden met Santa Claus for the first time, just a few months shy of her 13th birthday. Grace grew up in an orphanage in China. While I was interviewing her mother for an article, Grace asked why Santa had never visited her at the orphanage. The Rawdens adopted Grace last December, but she arrived too ill to enjoy her first Christmas in America. Soon after, doctors discovered a cancerous tumor growing inside her brain. Since then she's undergone two surgeries and lost sight in one eye while maintaining just 40 percent vision in the other. Thankfully, she's responding well to treatment. Grace has a lot on her mind, no doubt, but I found her selflessness most touching. Her mother said that, with some money Grace had saved, she bought festive holiday socks for her friends back at the orphanage. Santa may not show up, but Grace hasn't forgotten them. She's about to complete her latest chemo cycle, and to celebrate her family's taking Grace to the Caribbean for Christmas. Her mother said it was their first opportunity to really spoil her. I can't think of anyone more deserving. Habari Gani, Habari Gani? Kwanzaa Is Here! Some good nominees so far. Sorry, Craig, but I kind of like the Bowie-Crosby duo. "So This Is Christmas," not so much. Two Beatles on the list? Yessir. Norma and AtlPaddy are right; "Simply Have a Wonderful Christmastime," by Paul McCartney, simply blows. And Erik is spot on with "Rockin' Around the Christmas Tree." They join Streisand's "Jingle Bells," anything by Manheim Steamroller, Adam Sandler's "Hanukkah Song" and "Kwanzaa Is Here," which I heard for the first time today. It's appropriately awful (recorded by some white hippie, even) and I'm in an inclusive mood today. 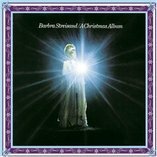 Every year, the day after Thanksgiving, me mum would place Barbra Streisand's Christmas album on the turntable, where it would stay through Dec. 26. Her rendition of "Jingle Bells" still gives me nightmares. Manheim Steamroller's Christmas LP is almost as bad. Their version of "Deck the Hall" is probably playing on a continuous loop in Hell's waiting room. And for our Jewish friends, there's Adam Sandler's "Hanukkah Song," which single-handedly destroys the cliche that Jews are funny. What's your least favorite holiday tune? Help me compile a definitive Bottom 10.